Some of the cast and crew from Girls' Night Out! on the "orange" carpet at the Bikes, Camera, Action! 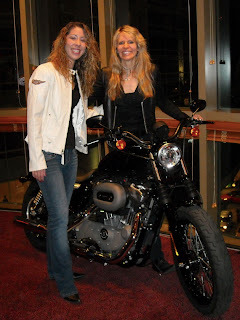 Premiere Party hosted by Harley-Davidson on Thursday, December 11, 2008. (L-R) Bryan Nash, Kitty Mulvey, myself and Amanda Guerriero. 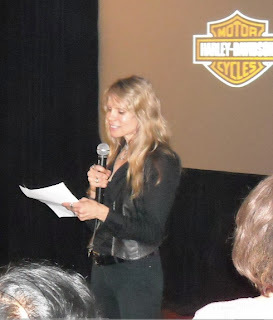 Karen Davidson announcing the winners of Bikes, Camera, Action! before the screenings of the top 3 films. I was interviewed by Speed TV, the network covers the top motor sports in the world. Check out SpeedTV.com for more information. The interview will air sometime in March 2009, stay tuned for more details! Amanda and I talking with Nancy Schreiber, the Director of Photography of Her Need for Speed. 1st Place winner Girls' Night Out! cast and crew with the crew of Grand Prize winner Her Need for Speed. (L-R) Amanda Guerriero, Nancy Schreiber, Vickie Sampson, myself, Bryan Nash and Kitty Mulvey. The Power 100 Breakfast was held on Friday, December 5, 2008 and sponsored by Lifetime Movie Network and The Hollywood Reporter, the event recognized the top 100 women in entertainment. The red carpet event had 650 in attendance, some of the guests included Oprah Winfrey, Glen Close, Sigourney Weaver, Nicole Sullivan, Gayle King, Lisa Ling, Marcia Cross and Garcelle Beauvais. The event began with a champagne reception sponsored by American Women in Radio & Television, followed by a welcome from Lifetime Networks president and CEO Andrea Wong. The event recognized myself as well as the 1st place winner from Lifetime Movie Network's: "Every Woman's Film Competition." Sigourney Weaver was the guest speaker, who has a recent television movie soon to be released on Lifetime, entitled Prayers for Bobby. During the event a panel was held with the top 3 women in entertainment. 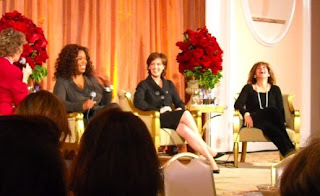 Oprah took the number 1 spot and Anne Sweeney, Disney Media Networks co-chairman, and Amy Pascal, chairman of Sony Pictures Entertainment Motion Picture Group and co-chairman of Sony Pictures Entertainment, took 2nd and 3rd on the Power 100 list. The biggest advice from the panel was when Oprah said "be truthful and be yourself" in regard to being successful. Glen Close, the talented actor who has been seen on film, the stage, and television was recognized for her outstanding achievements by being honored with the Leadership Award presented by Sherry Lansing. "Girls' Night Out!" won 1st Place!!! Bikes, Camera, Action! challenged female filmmakers from across the country to capture in a 2 minute short film the spirit of freedom, empowerment and adventure that is inherent when women hit the open road on two wheels. Thank you to everyone who helped contribute to the making of Girls' Night Out! 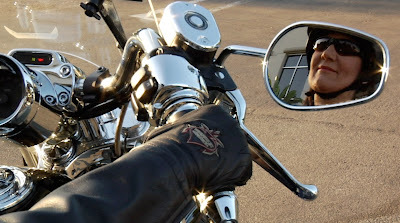 Especially the writer, Catherine Babcock, Harley-Davidson Fullerton, and The Eddie Nash Foundation. "The Doll Hospital" voted Fan Favorite! Words cannot express how much I appreciate your help and support over this last month. It was a close race until the end, and it was because of your support and votes that pushed The Doll Hospital to the top! I cannot thank you enough for voting and for passing the word along to family and friends. The Doll Hospital was a personal tribute to two very special people that were important influences in my life…my two Grandfathers Peter and Joseph. I have received many touching e-mails and phone calls about my film and it such a rewarding feeling to hear how well the film was received. The Doll Hospital could not have been completed without the wonderful group of people who worked with me on this film; a huge thank you to the cast and crew for their time and effort. Everyone's contribution and cooperation added to the success of this short film and I could not have done it without any of them. I am forever grateful, and could not be more thankful to each and every one of you! I wish you all the best always, and have a wonderful holiday. Happy Thanksgiving!